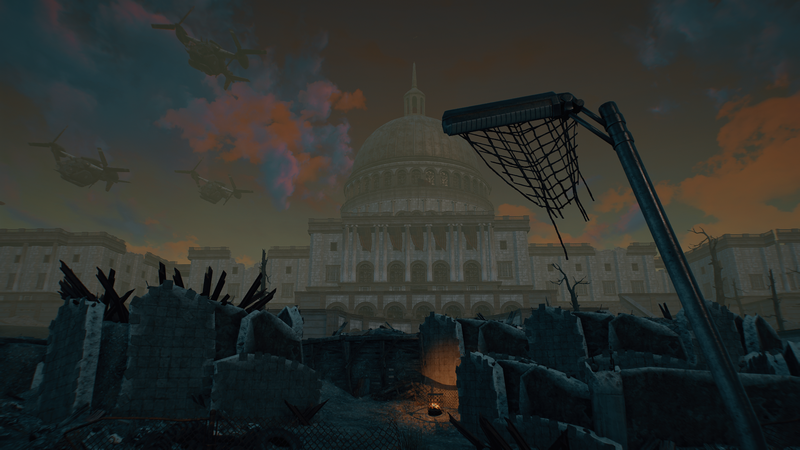 Capital Wasteland is a full conversion mod project that aims to remake Fallout 3 and its irradiated Washington DC area in Fallout 4’s engine. It’s being developed by a group of volunteers who is fittingly called ‘Road to Liberty’ and while there’s no concrete release date as is often the case with these projects, we recently got a new Pre-Alpha gameplay video that you can check below. The official website is also filled with information on the hottest topics. Our primary focus is on finishing the base game with no DLC’s, so excluding extra content from the GOTY edition we will be remaking everything within our power from weapons, armor, NPCs, quests, and locations. On the subject of DLC. We will be adding in only DLC specific locations that appear within the main Capital Wasteland Worldspace though there will be no DLC areas accessible until we decide to work on them or not. As for cut content, it will be situational on whether or not we feel it will add to the world we’re creating, but it isn’t something we’re focusing on. The infamous ‘green filter’ from Fallout 3 is very integral to the overall look and feel of the Capital Wasteland- but no, we aren’t going to have a green filter applied to the game the way the original did. We are, however, experimenting with the newest weather options in Fallout 4’s CK to establish the same grimy and oppressive tone as the original without sacrificing the naturally beautiful look that Fallout 4 is capable of. The original Fallout 3 was not created with settlements in mind and a lot of things would have to be reworked to accurately shove that feature in. However, there should be no reason mods that allow you to establish settlements anywhere you want shouldn’t work with The Capital Wasteland. We are, however, going to step up the player homes from the original Fallout 3 by bypassing the Themes system from the original to work in the same way the Homeplate in Diamond City from Fallout 4 works. Don’t worry, you’ll still get your heart bed and your weird hanging lesbian lantern. Capital Wasteland won’t be available on consoles, in case you were wondering, as it’s far more complex than the consoles mod support allows for. As a reminder, there’s another similar project aiming to remake Fallout New Vegas in Fallout 4.